Dr. Cassidy is founder of the Fountain of Health Initiative for Optimal Aging and co-founder of the Association for Positive Psychiatry of Canada. One of the greatest achievements of modern medicine in the last century is the near-doubling of human life expectancy from 50 to 82 years. As the only growing age group nationwide, seniors represent the future of our country for foreseeable decades. What role should our health care system play in helping Canadians invest in this future? Our longevity success story is largely thanks to our medical focus on identifying and treating the causes and effects of diseases. For example, as a geriatric psychiatrist, I am specially trained in diagnosing and treating cognitive and mental illnesses of late life. However, medicine’s ongoing and near-exclusive focus on disease in aging can also reinforce negative stereotypes. When people think about aging, illnesses often jump to mind such depression and dementia, or frailty and dependency. In this way, medicine can unwittingly contributing to ageism and exacerbate fears about aging. Our health care system is also increasingly expensive and unsustainable: we have thousands of medical experts trained to wait until illnesses strike our patients before we intervene. A new paradigm for health care is needed in which policy, practice, education and research will increasingly expect physicians to help people to remain healthy, and to thrive despite illness. Changing how we think about aging. Visit http://www.fountainofhealth.ca to watch a short educational video, take a quiz or set your own concrete goal for better health. Helpful tools for clinicians to use with patients are also available. The evidence base behind the Fountain of Health reveals that many of the negative stereotypes associated with aging are inaccurate. Contrary to popular belief, research shows that our brains have a capacity for learning into very old age (neuroplasticity) and can even improve with use. With age can come wisdom: our life experiences improve our brains to make us more resilient, compassionate and altruistic and enable us to better handle intense emotions. Surprisingly, with age also comes the potential for greater happiness: life satisfaction and happiness often increase with successive decades, a phenomenon called the paradox of aging. Remarkably, research also suggests that negative views of aging can actually be harmful to our health. Negative beliefs can serve as a self-fulfilling prophesy: it has been found that people with negative views of aging die earlier than those with positive views. A negative outlook about aging increases our risks of illness and disability, while positive attitudes toward aging are linked to many improved health behaviours (such as exercising more) and improved outcomes (such as living longer). The research behind the Fountain of Health has direct implications for the health care system and our country. 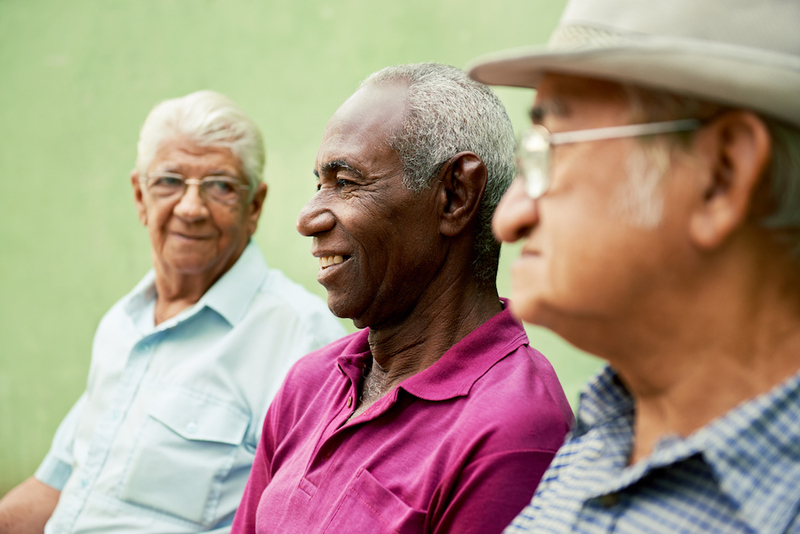 If negative views on aging can be effectively challenged with evidence to the contrary, attitudes can shift, and people will be more likely to invest in their own healthy futures. In my field, this necessary shift is already taking place, with the introduction of a new field that is being called “positive psychiatry” of aging (also see http://www.appc.ca). With the support of a national seniors strategy, our medical system as a whole will be able to do much more to actively promote healthy aging in Canada. After all, our collective future depends on it.